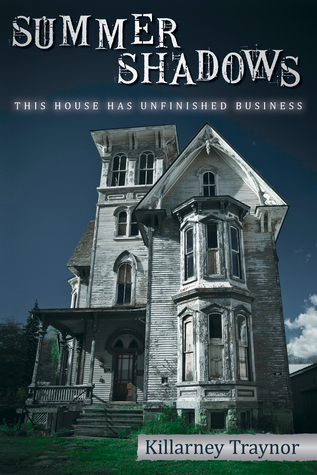 Win a signed copy of Summer Shadows! From now until February 10th, you can win a free copy of my first novel, Summer Shadows! Enter into the Goodreads Giveaway for your chance at one of two copies being given away. Not the typical family vacation.When Julia Lamontaigne arrives in Franklin, New Hampshire, she's looking for an escape from the tragedies that have taken over her life. Haunted by the legacy of her beloved sister, and entrusted with her sister's three orphaned children, Julia hopes for a summer of peaceful healing... And hopefully, bonding. At first, the small New Hampshire town seems to be the perfect location. They quickly settle in and make friends with their eccentric neighbors, then begin work on their summer house - while Julia is drawn into a relationship with Robert Wilde, the handsome cop next door. But Franklin is haunted, too - by the decades-old murder of a beautiful young artist, killed in the house at the end of Julia's street. Even though everyone says that the case is solved, Julia can't escape the feeling that there's more to the story than she's being told. Someone doesn't want the murder case re-opened. And they're willing to kill again to stop it. The house at the end of the street hasn't begun to give up its secrets. Read the first chapter here. And if you can't wait to win the book, download the Kindle version today! Good luck to all entrants!